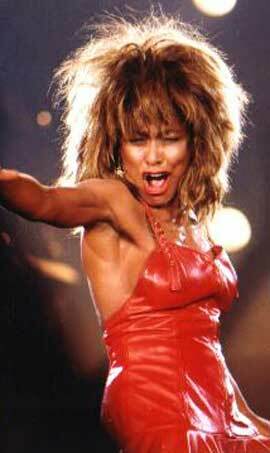 After the huge success of the "Private Dancer” album, Tina had to record another album to stay successful and in the spotlights. 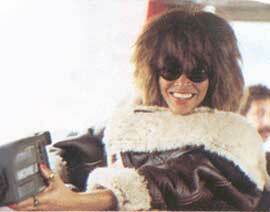 Tina returned to the studio’s in 1985 in between concerts and shooting George Millers movie "Mad Max Beyond Thunderdome”. The album was complete and ready for promotion in 1986 and was called "Break Every Rule”. In the mid 80’s there was also a technology breakthrough. Music could also be pressed at a compact disc or as we call it CD. Capitol Records handed away promo’s on vinyl and cd’s. 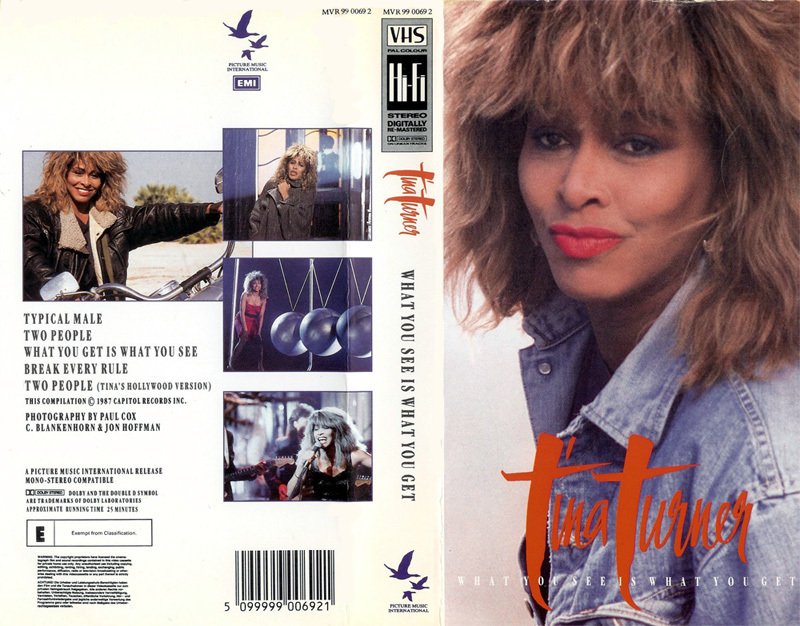 This one is a very rare promo video cd, probably for promotional intentions to Tina’s VHS "What You See Is What You Get”, an EP VHS with the promotion video’s that Tina shot for her "Break Every Rule” album. Here’s the tracklist and descriptions of the songs of this very rare promo cd. The first three tracks can be considered as audio tracks and the last track is a video track. "Typical Male" a song which has everything. Passion, Soul, Rock, Dance and Soul. The song is about a girl who needs legal help but falls for her lawyer. Her lawyer is actually strict and is only interested in business. The client gives everything he or in this case she’s got and tries to get his attention in a naughty way. 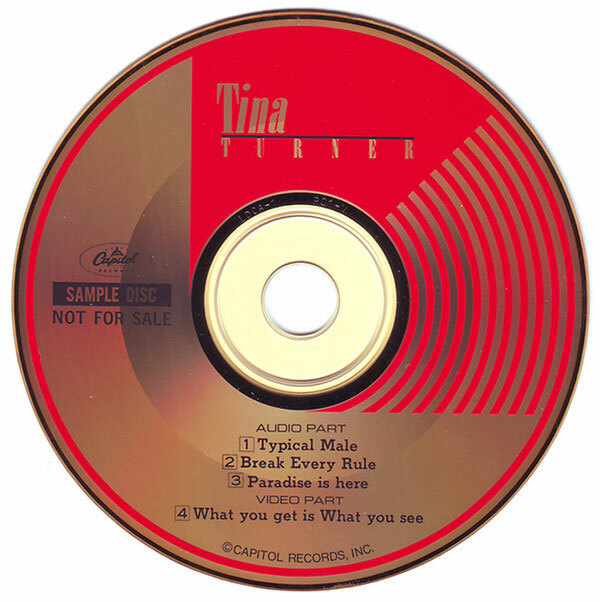 It sure brings the bad out in Tina as we see in the original promotion video for "Typical Male". Tina wears a red mini dress and is flirting with a lawyer. She plays games with him, such as Chess and Scrabble, in order to get his attention. Throughout the video, Tina is hugging and leaning against a statue of the lawyer's leg. In the end Tina wins and they are walking off together. "Typical Male” was released as the lead single for the "Break Every Rule” Album in 1986. "Break Every Rule" is a pop rock song with a country flavour about a person who’s completely obsessed by another person. He or she wants to break all rules because she’s madly in love with him or her. This song is all about love and devotion and was released as the 6th single for the "Break Every Rule" album in 1987. "Paradise Is Here" is a very strong ballad about a man who reaches out for the stars, wants to fly high and is living in the future, but his woman doesn’t want all of that. She simply says the future is this moment and we should live here in the now, because for her paradise is here. This ballad will make your blood run faster through your veins. Paradise Is Here was released as 7th and last single in 1987 for Tina’s "Break Every Rule" Album. "What You Get Is What You See" is an up-tempo rock song, but could also be considered as country rock song. The song is about men’s behaviour towards women and this particular girl and that there’s more to people then meets the eye. It’s the player vs. the real stayer. However the girl is tempted by a lot of men and she still wants to be satisfied by the perfect men. "What You Get Is What You See” was released in 1987 as 5th single for the "Break Every Rule” Album. This Promo Sampler Disc isn’t easy to find. If you want to find it, you have to search at record fairs and online auction sites like Ebay or Discogs. Length: "Typical Male" - 4.18 min. "Break Every Rule" - 4.02 min. "Paradise Is Here" - 5.36 min. "What you get is what you see" - Video - 4.07 min.